SS Rajamouli's Baahubali is an epic in two parts, narrated through spectacular visuals and amazing special effects, including a 30-minute battle scene helmed with admirable precision. 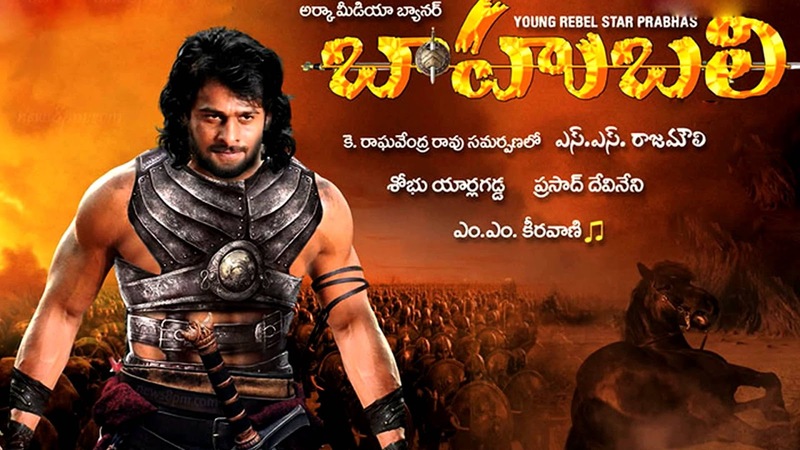 However, beyond this, the film with a star-studded cast of Prabhas, Rana Daggubati and Anushka Shetty offers little else. The film suffers in terms of continuity, because the film's production took more than two years. The plot is about two royal cousins raised by the mother of one -- who decides that the strongest and the noblest of them would rule the kingdom of Mahishmati. The film often seems like a 1950s work with men and women in glittering costumes moving through the corridors of magnificent edifices. 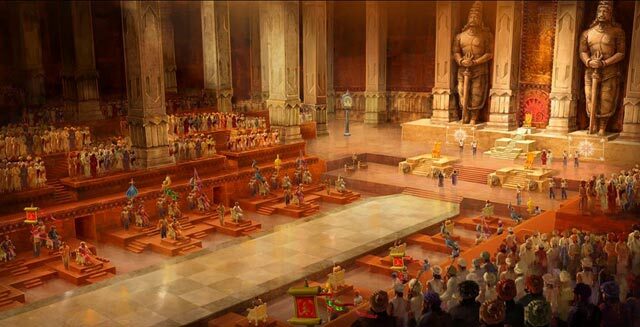 When one of the cousins, Amarendra Baahubali (Prabhas), is crowned king, a court conspiracy sees him murdered. 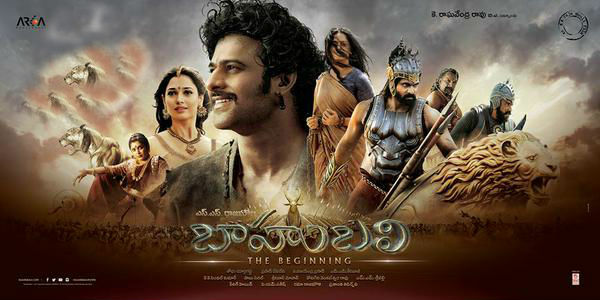 But this is of course for the sequel of Baahubali, scheduled after a year or so. The first part opens with a desperate woman trying to save a boy child even as she drowns in a flooded river and he lives, nurtured by a forest tribe. 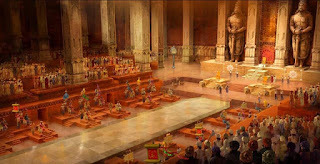 He grows up to be Shivadu, little realising that he belongs to the nobility and that his mother, Devasena (Anushka Shetty), is chained and imprisoned by his cousin, Palvaalthevan (Rana Daggubati), in the royal palace. It is not hard to guess what will follow. The rest of the story takes us on an adventure with Shivadu as he finally frees his mother -- but not before indulging in a little romance with Avantika (Tamannaah, wooden as usual), who is part of a rebel group that lives in a mountain hideout. However, the chaste Tamil that is spoken in the film (a Telugu version opened simultaneously as well) and the rather convoluted plot with far too many characters may not appeal to the modern multiplex crowd, addicted to simpler, less complex storylines. Baahubali, despite its epic dimensions -- with a tendency to copy larger-than-life Hollywood heroic tales like Ben-Hur and Troy -- fails at some level to draw us into the narrative. Even one of the first scenes of a huge statue being erected with the help of slaves works in a very limited way to capture audience attention or set the mood for images of flying swords and falling boulders. If Rajamouli thought that his special effects team that drummed up outstanding imagery -- lovely waterfalls, magnificent snow-covered mountains and an awesome terrain of the kingdom -- would somehow cover up the weaknesses of the film, he was wrong. Greater detailing and accuracy could have helped. Here is a superb archer and assassin like Avantika, who fails to notice Shivadu sitting on a tree above her and drawing a tattoo on her shoulder. Love is really blind, one presumes. And even the shot of Palvaalthevan taking on a wild bull looks too damn superficial! But yes, one must admire Shetty for going completely de-glam. This calls for guts. 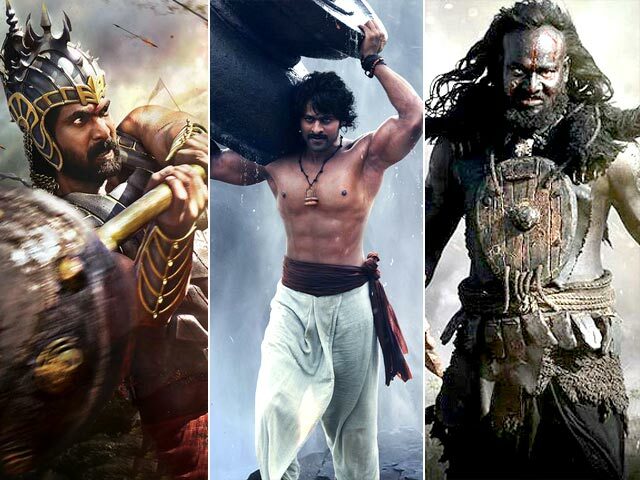 Otherwise, the performances are passe, and Baahubali ends up being all sound and spectacle -- but little else.